UNDERSTANDING DIGITAL CINEMA: A PROFESSIONAL HANDBOOK is a comprehensive resource on all aspects of finishing, distributing and displaying film digitally. For technical professionals as well as non-technical decision-makers, the book is a detailed exploration of every component of the process, from mastering to theater management. David Gray, Vice President, Production Services, Dolby Laboratories, Inc.
Warner Bros. Technical Operations Inc. and Senior Vice President, Worldwide Anti-Piracy Operations Warner Bros. Entertainment Inc.
Peter Wilson, Vice President, Display Technologies, Snell and Wilcox Ltd.
Wendy Aylsworth, Vice President of Technology, Warner Bros. Technical Operations Inc.
1. 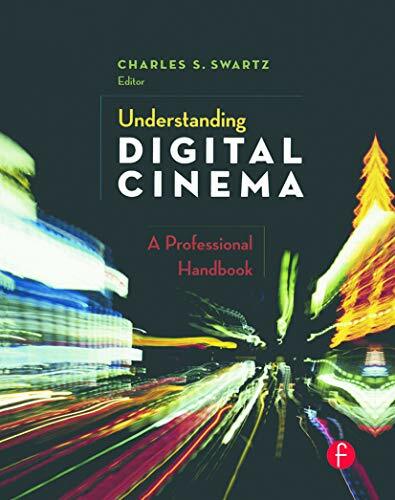 Understanding Digital Cinema: A Professional Handbook [Hardcover] Swartz, Charles S.